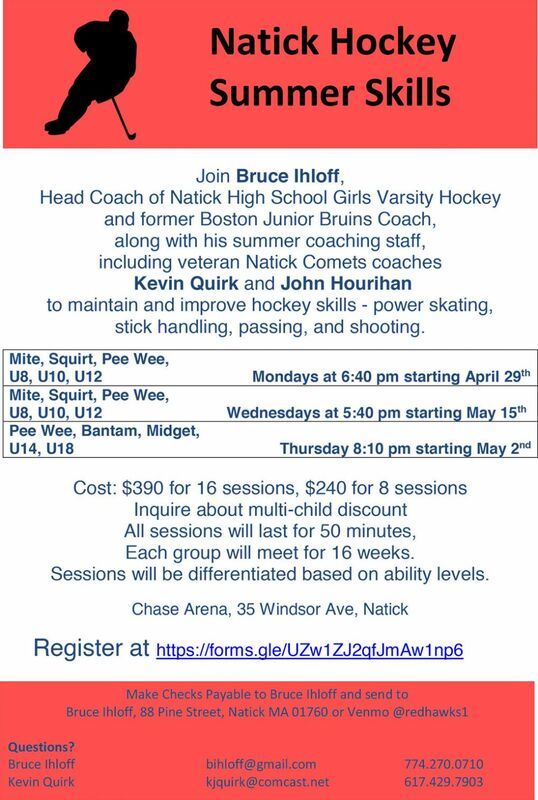 The Natick Comets hockey program was established in 1952 and has been providing a positive youth hockey, learning, social, and sportsmanship experience for Comets participants for 64 years. Tryout results for all team placements will be emailed directly to families at the end of April. Your patience in this process is greatly appreciated. U12A Girls win MYCGL Championship! 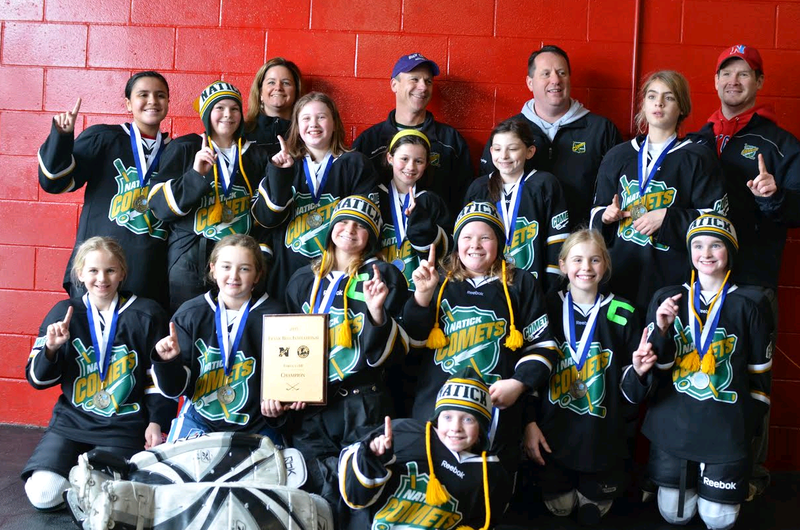 THE NATICK COMETS U12A GIRLS HOCKEY TEAM bring home another Championship to the Natick Comets Hockey program! 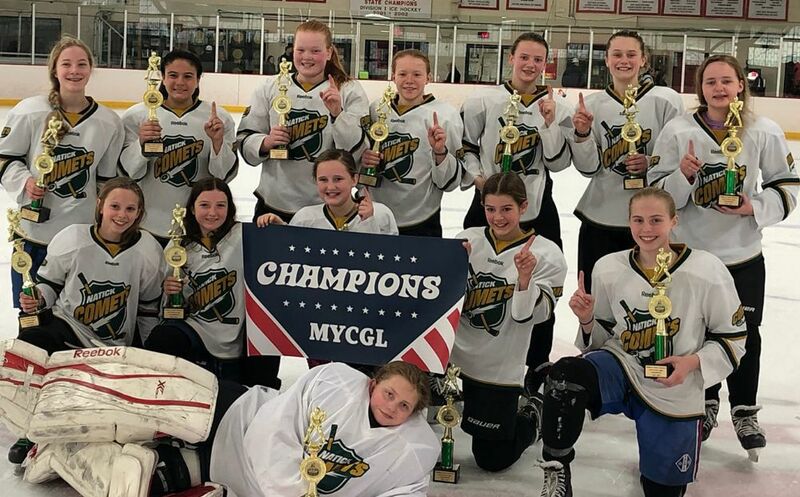 The Natick Comets U12A Girls team beat the Mass Bay Warriors U12A by a score of 2-0 to win the Middlesex Yankee Conference Girl’s Hockey League Championship on Sunday April 7th, in Waltham! The team is pictured after the League Championship win, Front row: Ellie Beigel. Kneeling left to right: Aidan Bell, Elle Ferguson, Emma Fair, Morgan Boyce, Kiera Dempsey. Standing back row; Coach Tim Dempsey, Daniela Bauer, Carolyn Cotta, Hailey Baughman, Head Coach Brian Beigel, Madison Bibeau, Michaela McGovern, Reece Perdoni, Coach Dave Ferguson, Shannon Flynn. Not in picture Coach Rob Bauer! 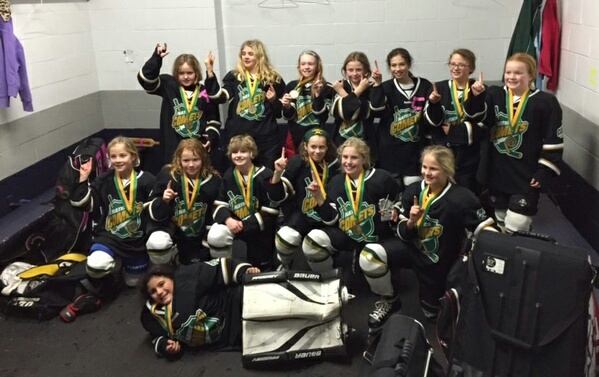 Comets U12A Girls are STATE CHAMPIONS! 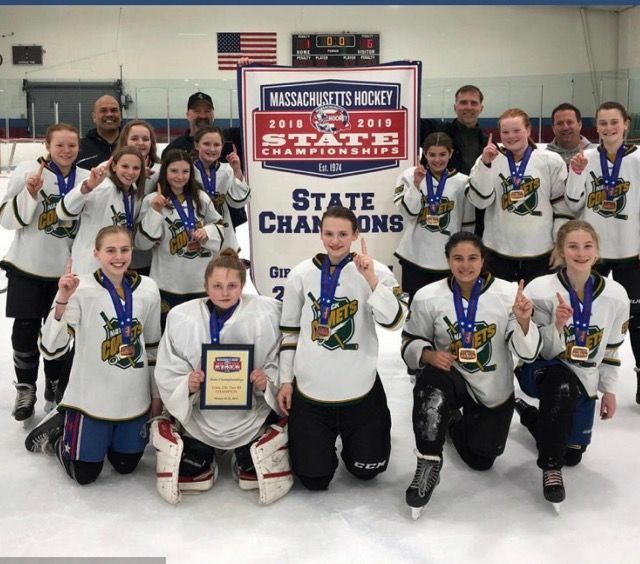 Congratulations to the Comets U12A Girls team for winning the 2018-2019 U12 Tier III State Championship!! Natick defeated Wilmington 3-1 in the Semi-Finals and Weymouth 7-1 in the Finals. Way to go Girls!! Squirt A wins District 8 Championship!! Squirt A wins District Championship!! 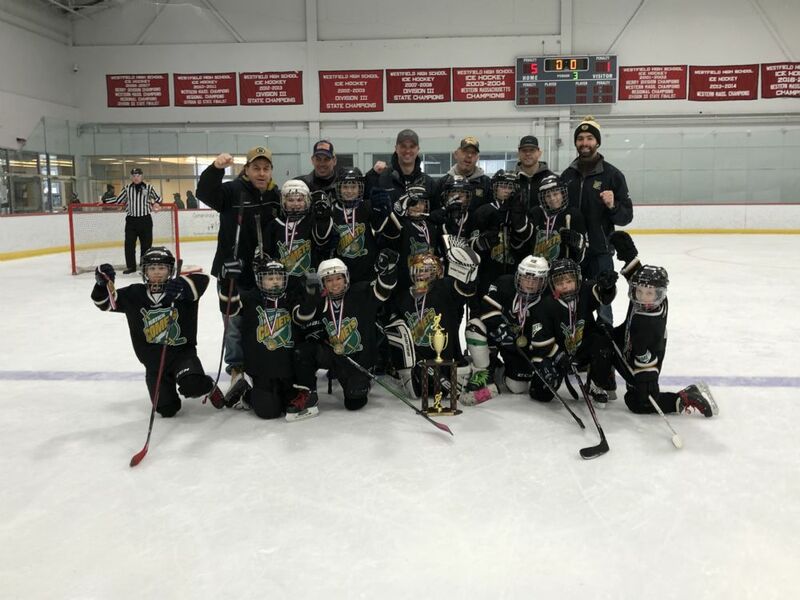 Congratulations to Squirt A-- your 2018-2019 Mass Hockey District 8 Champions!! Squirt C Wins Fire & Ice Tournament! 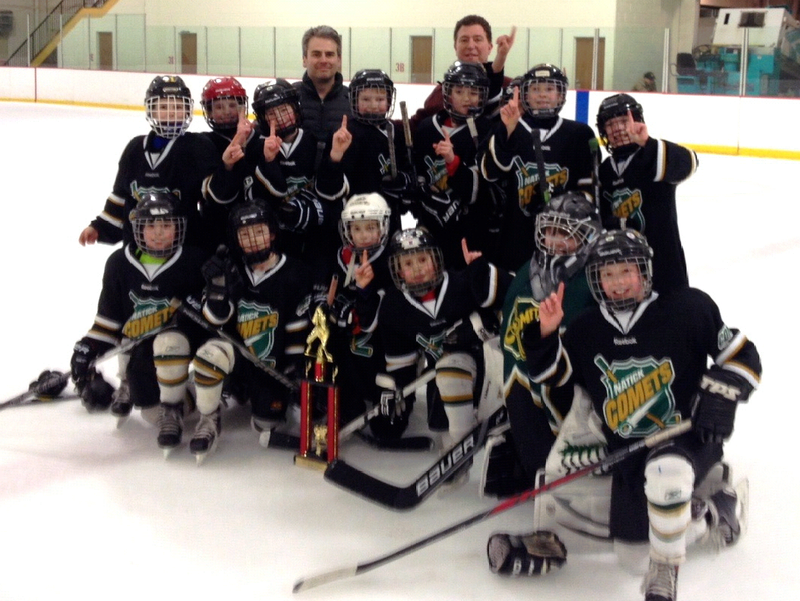 The Squirt C team played in the Fire and Ice Tournament in Westfield and won their division. They went 4-1 and beat the Jr. Crusaders in the championship game after having lost to them the day before 5-3. Great job everyone!! Natick Comets Pee Wee B1 captured the Top Honors at the 28th Annual David W. Hoffman Tournament Hosted at Natick's Chase Arena December 7-9th! 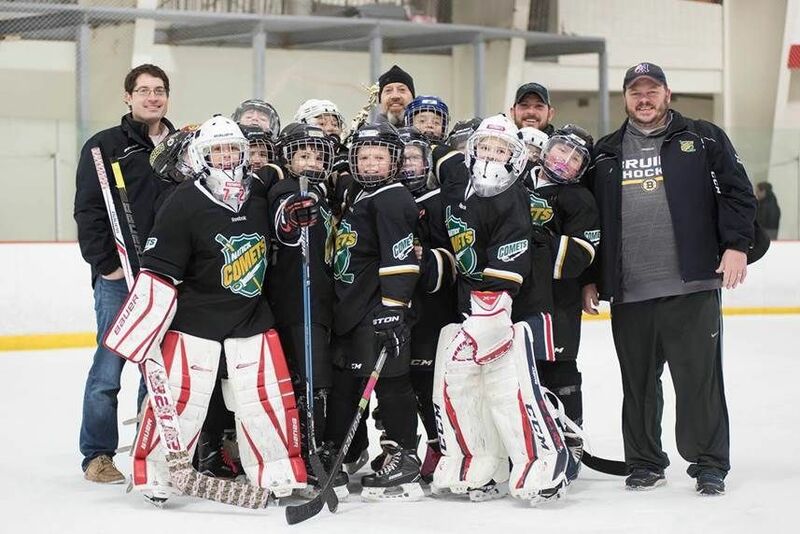 The Pee Wee's Coached by Head Coach John Hourihan, Matthew Chase, Mike Flynn and Kevin Bracken had an undefeated record for the weekend with 3 wins and one tie. Congratulation Pee Wee's Great Job! The Pee wee A Team finished second in the A Team Bracket and had a great tournament posting a 3-1-0 record. The Providence Bears won the A division with a 3-0 win. 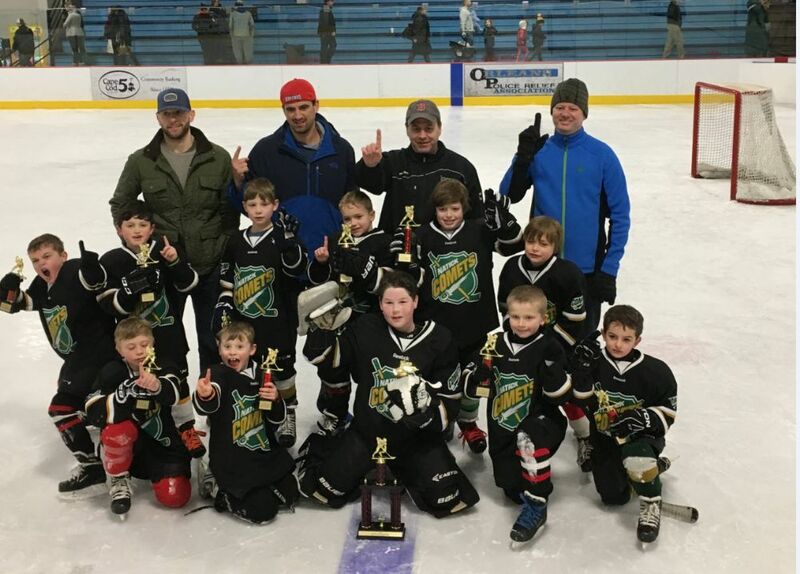 The Natick Comets Mite C team took first place in their division of the Lower Cape Coyotes Mite Tournament held March 9th and 10th. They finished with a 3-0-0 record. 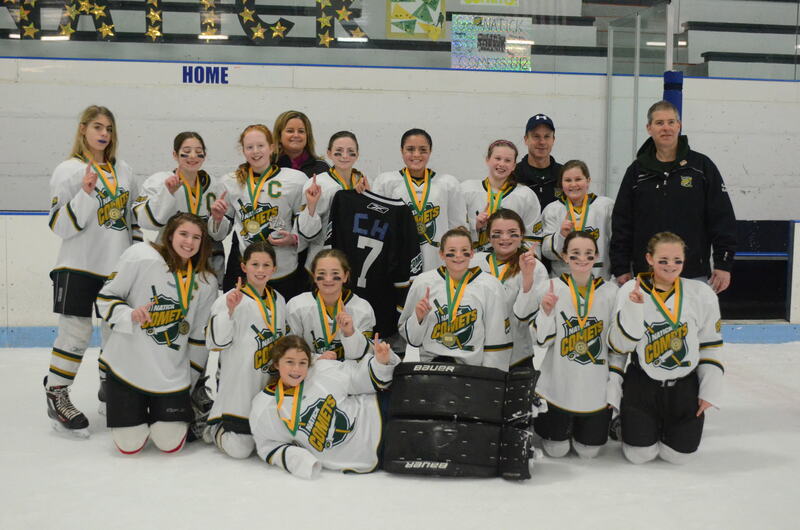 The Natick Comets Squirt AAA team won the District 8 Squirt Large, Championship on Monday January 15th. The Team shut out Framingham with a final score of 8-0, and will continue on to the State Tournament in March. 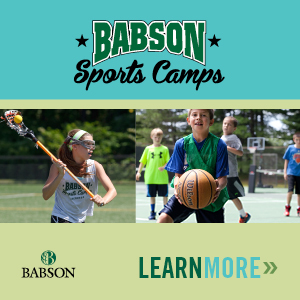 Congratulations to Ben Vose, Brody Whalen, Dan Kaploun, Grady Flynn, Henry Zeman, Hunter Hourihan, Jason Cohen, Jason Danahy, Jeffrey Howard, Joe MacDonnell, Jonathan Chase, Luke Meszaros, Luke Nemitz, Peter Bracken, Sam Hubbard and Will Fair. The boys are lead by Head Coach, Chris Hubbard and Assistant Coaches, John Hourihan, Mike Flynn and Tom Vose. 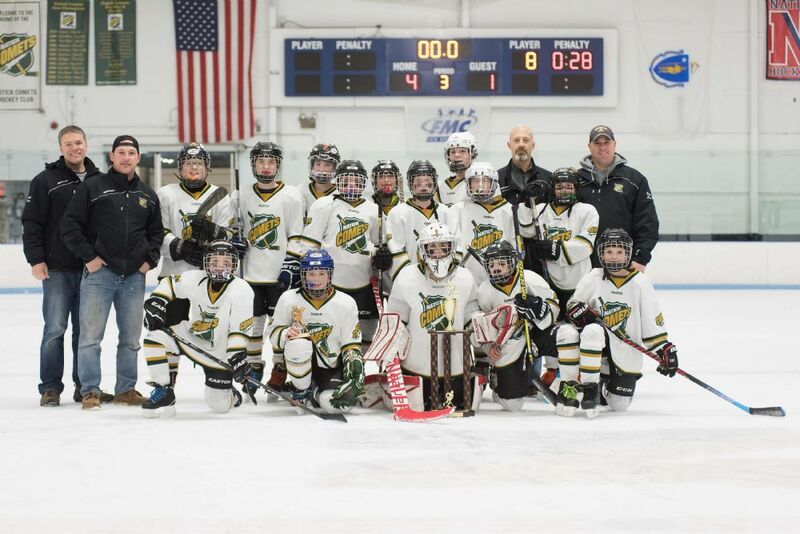 The Comets Mite A team won the Kevin P. Williamson Memorial Tournament in Falmouth, Mass on Sunday, February 21. The team defeated Lexington-Bedford, Warwick RI, King Phillip Walpole and in a rematch with Lexington-Bedford for the championship game. The Bantam B team won the Hyannis Hurricane Tournament on February 14 defeating the Eastern Mass. Senators in the championship game. The team registered 4 straight shutouts during the tournament. 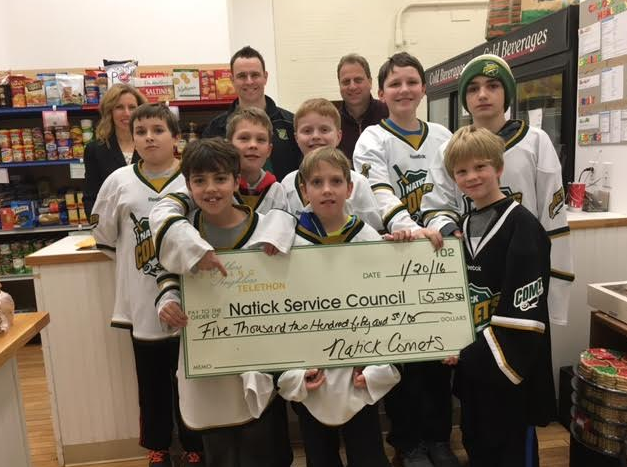 The Natick Comets organization was able to present the Natick Service Council with $5,480 in cash donations and 13 bags of food from the 4th annual food drive (held in January, 2016) in memory of Justin Bailey. The impact of this food drive effort is that the funds raised will feed 500 families in need for two months. 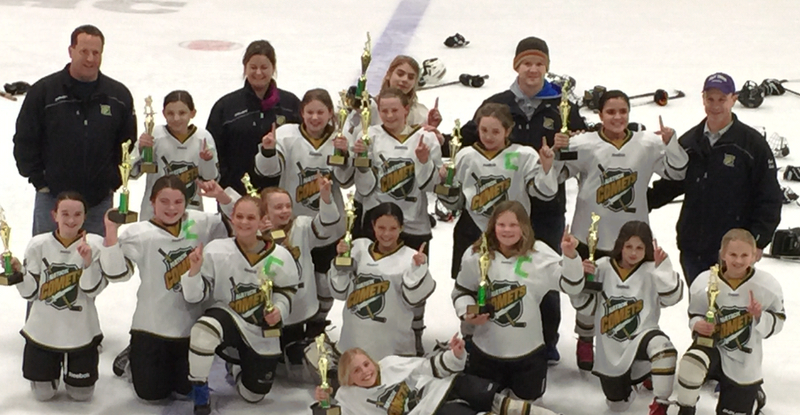 The Comets U10 and U12 girls won their respective age divisions in the Bill Chase Girls Tournament as hosted by the Comets at the William Chase Arena the weekend of January 15. On Wednesday, April 8, the Comets girls U10 team won the Middlesex Yankee Conference Girls League (MYCGL) U10 Major division championship. The Comets girls defeated Arlington 2-1 in overtime. 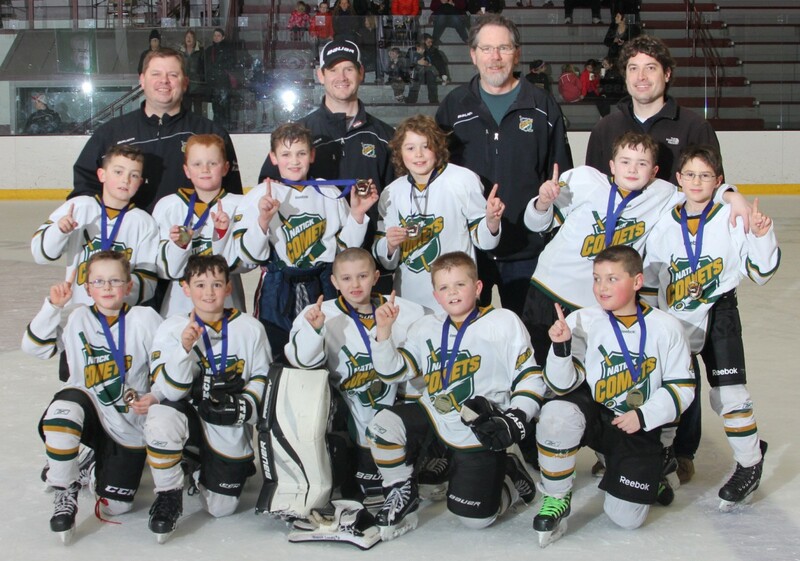 The Comets Pee Wee C1 team took first place the weekend of March 6 in the Cape Cod Classic Tournament in Orleans, Mass. The teamwork displayed during all four games was tremendous. Not one goal was scored against the Comets team during the tournament. Congratulations on the championship win. 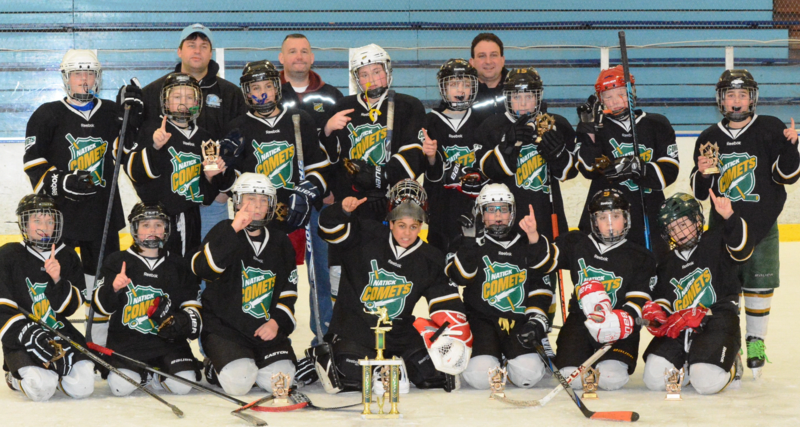 Over the weekend of February 20, the Comets U10 team won the Frank Bell Invitational tournament in Needham. 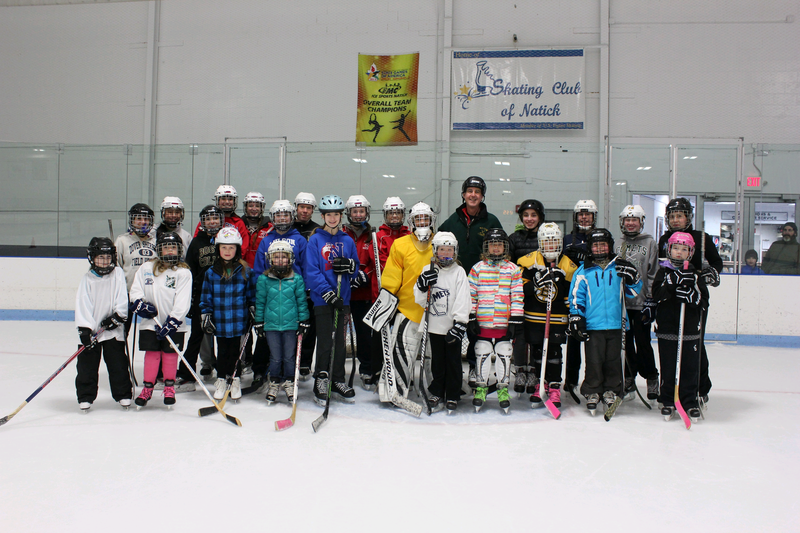 On Tuesday, February 17 the Comets sponsored and hosted the Girls Try Hockey event. As you can see from these smiling faces, it was a great time for all and we look forward to seeing many of these new players at our upcoming tryouts. Thanks to Coach Knapp, Coach Baughman, and the Comets players who assisted with the event. 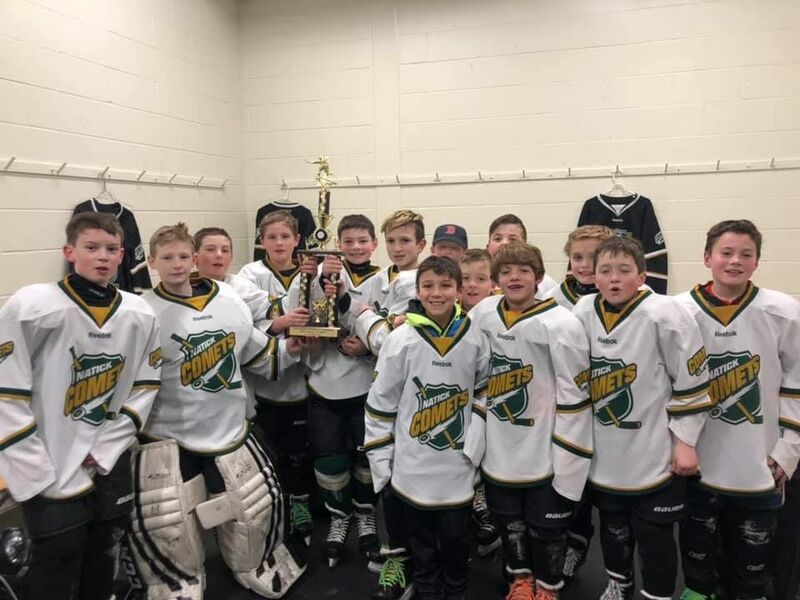 The Comets Squirt A team won the District 8 Championship on Monday, January 19 at the New England Sports Center in Marlborough. Squirt A defeated Framingham 4-3 in overtime. The team heads to the Mass. State Tournament March 6 through 8 in Chelmsford.
.: As Hosted By The Natick Comets :.